How did Machu Picchu originate? Machu Picchu may surprise to anyone; the sublimity of its location and the mystery of its construction, it made could never be seen by the Spanish conquistadors. The city was such a well-kept secret, that the chosen women who lived in this place, they lived and died in total peace; for more than 250 years after the Spanish invasion; also it was not revealed to the world until 1911. It is known that the city of Machu Picchu in his later years, was occupied mostly by women; since most buildings found in Machu Picchu, were intended to house the chosen women (Virgins of the Sun), and the servants of the Inca City of Machu Picchu. But it is known that the most important buildings such as palaces and temples were not built from the beginning. Who and when Machu Picchu was built? Most scholars agree that the Inca Pachacutec was who ordered to build Machu Picchu. Pachacutec inherited an empire that within a few decades can measure more than 4,000 kilometers from south to north, and about 500 kilometers from east to west. Before Pachacutec, the borders of the empire in that direction ended in the Inca town of Ollantaytambo. Initially it was believed that Machu Picchu was built in this place, by the need to master the narrow valley that allowed wild Indians could enter from the Amazon jungle to the territories of the empire. But after seeing the weapons of those savage natives, that were not a threat to the Incas, the idea was discarded. And we also believe unlikely the impressive temples of granite, they have been built as a fortress. However Machu Picchu is protected by the canyon of the Urubamba River, turning the city into an inaccessible shelter. The empire must have very skilled generals in addition to wise counselors, who could carry out difficult conquests throughout the empire. The history reveals that the gains were achieved by combining cunning, diplomacy and military aggression. When were built the most important buildings of Machu Picchu? 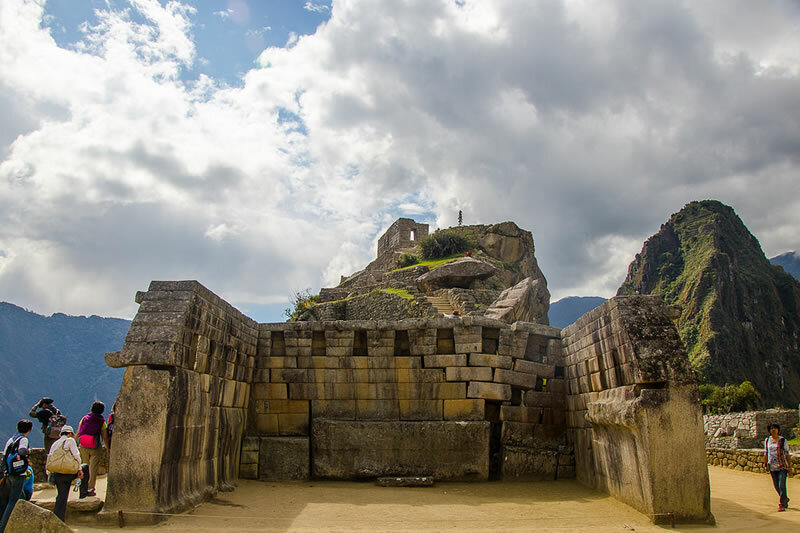 In Machu Picchu you can find almost all types of structures, discovered in the central Andes, so it follows that Machu Picchu does not date from before the fifteenth century. It is possible that after being elected, the Inca Manco Capac command them to build a temple that would honor the dead Incas, and the idea that best fits these characteristics, is the famous temple of the 3 windows. If you consider the time it takes to tame alpacas, and discover, choose and acclimate the enormous variety of plants that were grown in Machu Picchu. In addition to engineering, metallurgy, textiles, ceramics and irrigation systems so advanced, you will understand why it is so difficult to unravel the mysteries of Machu Picchu. The origins of Machu Picchu would be much less glamorous than most would expect, as a study published in the archaeological journal Antiquity, shows that the llama dung would be the basis for the development of civilization. So the agricultural sector of the city of Machu Picchu, would have been built on large amounts of manure flames. Alex Chepstow-Lusty said that the Incas had settled in the valley of Cusco some 2,700 years ago, at the time when they stopped being hunters and gatherers to become farmers. So the development of agriculture and the cultivation of corn, quinoa and other grains such as amaranth, have been key to the development of this society. It is known that llamas were domesticated and widely used as transportation and food source, but also used their wool and their droppings. The scientist Alex Chepstow-Lusty, spent years analyzing the organic deposits settled in the bed of a small pond called Marcaccocha, located at the bottom of the mountain Machu Picchu, detected the correlation, among the first corn pollens and an increase in the number of mites that fed the flames droppings. Marcacocha is next to one of the trade routes which transported goods between the Amazon rainforest and Machu Picchu mountain, on llamas; it was just in this place where these animals stopped to drink and defecate in large herds. The researcher concluded that rapid and massive migration to agriculture, it was possible only thanks to a primary ingredient: organic fertilizer in large quantities. The llamas provided fertilizer easy to collect for people in the vicinity of Machu Picchu; even now, in many indigenous communities in the Andes it is still used as fertilizer and as fuel for cooking; the same way it was 2,000 years ago. At the time when the Incas began to cultivate their own food, they found the possibility of building large settlements of stone like the Inca city of Ollantaytambo and Machu Picchu. ← What was the function of Machu Picchu?